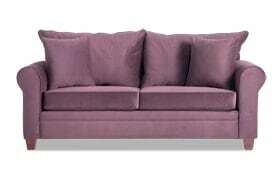 Give your living room a cozy feel with my Banner Double Plum Sofa. 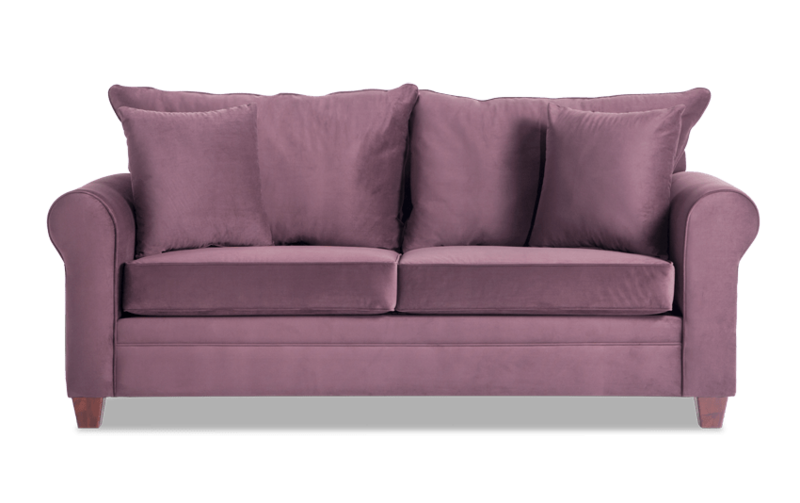 This comfy sofa has plush fabric, contrasting accent pillows and classic roll arms. The metallic plum color is easy coordinate with existing living room decor for a fresh, updated look.